From lazing around in a villa to snacking on ladyfingers. Bohol, an island province in Central Visayas, is well known for its mounds of brown-colored limestone formations called Chocolate Hills. But that's not the only claim-to-fame of the province, as there are other exciting things to do when you find yourself in this part of the country. 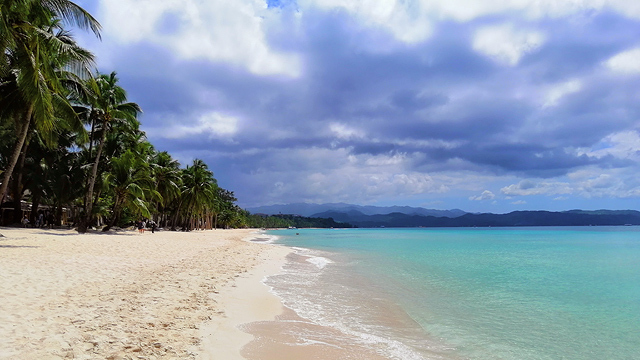 Whether you're a single traveler, on vacation with a partner or with your family, try these underrated experiences in Bohol. Check yourself into the secluded Donatela Hotel, where upon entry, you'll be greeted by tall thoroughbred Iberian horses running across the expansive grounds for their daily exercise. Now run by the Enderun Hospitality Management, Donatela Hotel was once managed by a French interior designer and his wife, which explains why each of the 12 villas on the property is immaculately adorned with bespoke furniture and art pieces from the couple's travels. 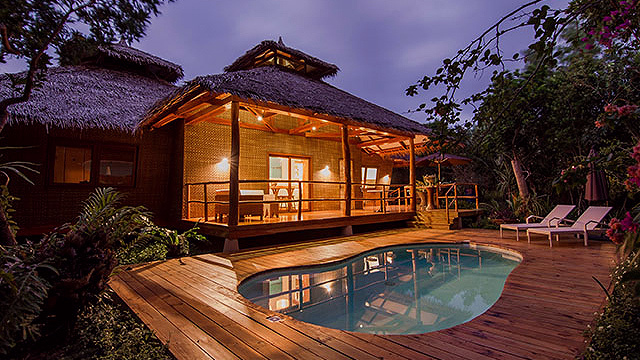 Eagle-eyed guests will notice the pool villas are shaped like tents. That's because the previous owner was inspired by the safari lodges that travel agency Abercrombie & Kent would arrange for kings and dignitaries of the past. 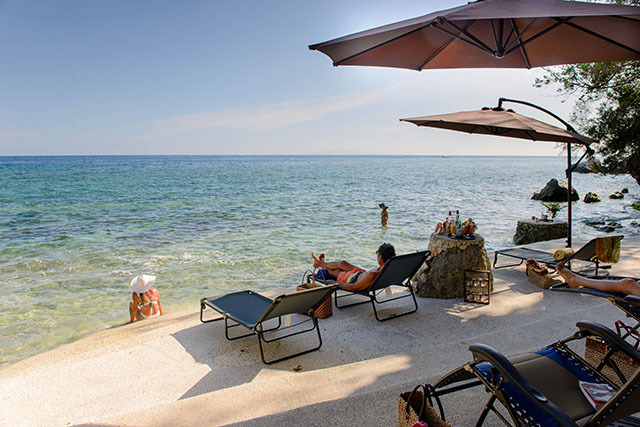 Only 31 guests are allowed to check-in each day, guaranteeing a private stay. 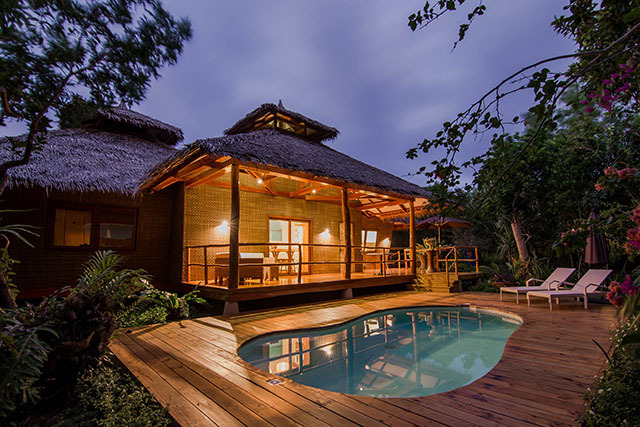 Each villa is appointed with its own outdoor patio and a sprawling garden that will make you feel like you're coming home to your own little patch of paradise. Inside, every single detail is well-thought-out—from the gigantic mirrors in the bathroom framed with shells plucked from the property's seashore to the slanted exterior walls of the garden villa inspired by Ifugao dwellings. 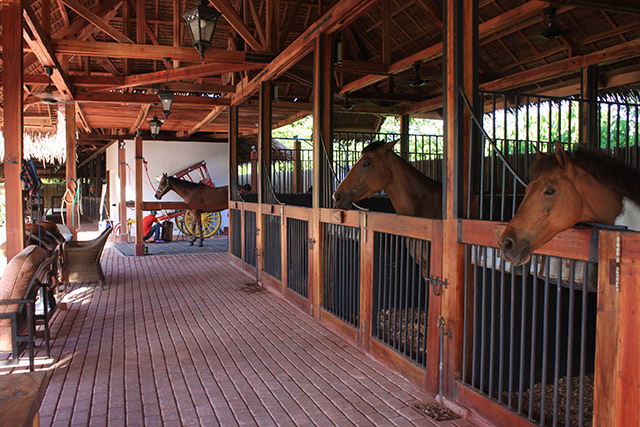 If you're traveling with children, they can practice their riding around the resort's stables. The former owner's wife was an equestrian and trained some of her horses for dressage. Children are also bound to enjoy the mini zoo, which is home to rescued animals, a variety of singing birds, and a mischievous macaque that will, at times, offer you a manicure if she likes you. Donatela Hotel is at Km. 16 Hoyohoy Tawala, Panglao, Bohol. When you do manage to leave the comforts of your villa—and trust us, it's not easy—make your way to nearby Paprika restaurant for lunch. 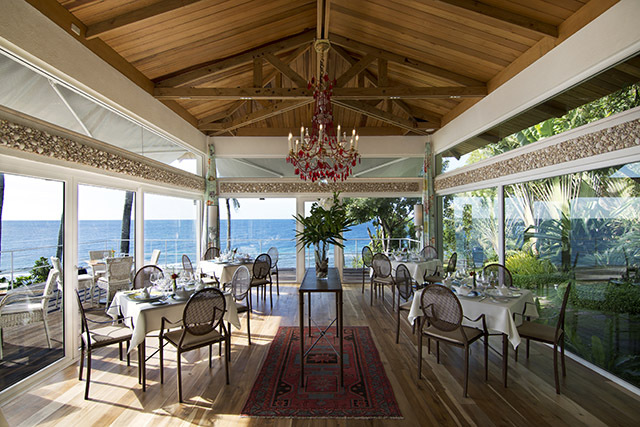 Dining al-fresco might be tempting, but design-lovers can opt for the opulent dining area enclosed in glass walls, which still gives you a great view of the sea and the neighboring island of Siquijor on a clear day. A server presents the catch of the day on a silver platter and nothing is stored for over three days. From there, you can take your pick of fresh lobster, shrimp, and grouper, among others. 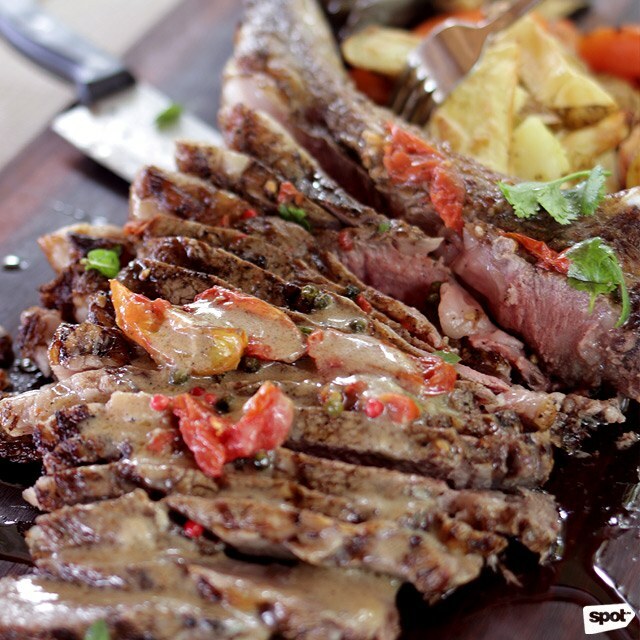 If you're dining with a big group, the massive Tomahawk steak is a crowd favorite. Fine jewelry might not be top of mind when you think of Bohol, but the small Visayan island is home to jewelers of a dying breed. Their craft is one that dates back to the pre-Hispanic times. One such artisan is Irma Bunachita, who has been hand-making filigree rosaries and tamburin pendants using a traditional stamping method since she was 14 years old. Some of her intricate gold pieces were inspired by the Virgin Mary. Many women travel to Dauis in Tagbilaran seeking out Bunachita and bringing their own gold and silver for her to customize. A few hundred meters away from Dauis church—a popular venue for weddings in Bohol—is Osang's Homemade Pastries. 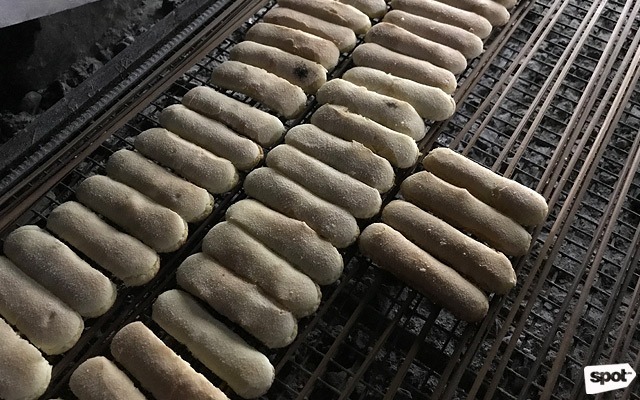 The family-run bakery produces broas or ladyfingers that've become a mainstay in Tagbilaran. The women of the family bake the pastries in an old-fashioned pugon oven and package them by hand. Everything is made fresh daily. In the early evening, make the journey across the Abatan River mangrove forests via kayak. The century-old mangrove trees and bats should keep you company when the sun starts to set. After some time, you will notice the faint glow of fireflies twinkling until these magical dancing lights surround you. The otherworldly experience is also an eco-friendly tour that provides many of the tour guides with a sustainable income. There may not be as many dining options in Bohol as there are in other resort towns, but this simple and homey restaurant on the famous Alona strip is one of the city's must-tries. The menu features a fusion of Asian and European comfort food with a diverse range of dishes from chicken tikka masala to pasta and pizzas. In one corner of the restaurant sits a quaint bakery that offers a variety of pastries and cakes. For chocolate-lovers, the Chocolate Hills, a large chocolate-filled cream puff, is a no-brainer. Right next to it is the Gun Bar, named after the fact that it's centered around a retired canon now displayed underneath a glass table. At the back of the bar stands a tall treehouse where you can enjoy your tipple of choice. On some nights, you can catch a live band. Bonus: When you get back to your hotel and you find yourself restless from the day's excitement, call for a massage in your villa. While Donatela has a gorgeous Spa Village with views overlooking tranquil gardens, its signature massage can be enjoyed just about anywhere. The therapist uses a Hawaiian technique to relax the entire body. The flowy hand movements feel similar to dance steps, kneading the body with aromatherapy oils.